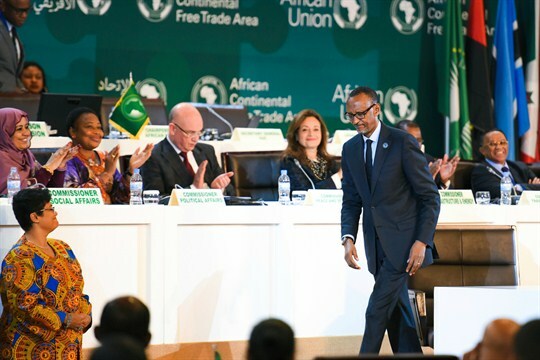 Rwandan President Paul Kagame after signing the African Continental Free Trade Area agreement during the 10th Extraordinary Session of the African Union, Kigali, Rwanda, March 21, 2018 (AP photo). Despite a steady stream of denials from Kigali and Kampala, ties between Rwanda and Uganda appear to be deteriorating rapidly. The latest ebb in this historically volatile relationship stems from the Ugandan government’s pushback on what it perceives as Rwandan meddling in its domestic affairs. Though Ugandan officials have not gone public with any formal allegations, their dissatisfaction can be read in a recent string of increasingly high-profile incidents.